Stevenage have denied allegations from a Grimsby supporters' trust that stewards behaved inappropriately towards female fans by asking some to show their bras as a security measure. The Mariners Trust has written to both clubs, the Football Association and a number of police forces following the alleged behaviour of stewards at the Lamex Stadium ahead of Saturday's league game. According to the trust, several female supporters were asked to lift their tops up to show their bras to female stewards. A further claim said female stewards had asked to check if bras were underwired. Full-body searches were allegedly carried out by stewards on children as young as five years old while the Mariners Trust claims the presence of a female steward placed in the male toilets, a facility also used by minors, raises "significant safeguarding issues". But Sky Bet League Two club Stevenage, who revealed their pre-match risk assessment gave management reason to believe there was "the potential for anti-social and uncooperative behaviour" from a "high-risk group attending", deny any inappropriate incidents took place. A statement published on the club's official website read: "Grimsby's supporter liaison officer was made fully aware of the nature of the search regime prior to the game, to ensure all attending were aware and could allow sufficient time to access the stadium. "Stewards used for this role in the away section of the stadium were provided by a reputable agency and are qualified to act as such. Searches conducted are recorded on CCTV and on this occasion, were in the presence of deployed police officers. "No incidents were recorded on the day of any inappropriate behaviour towards female supporters or young spectators. Had such incidents been either reported or flagged up, the issues would have been dealt with immediately. "The club takes these allegations seriously and will both study the CCTV footage and speak to the relevant parties to ensure that no infringements of accepted procedures took place." 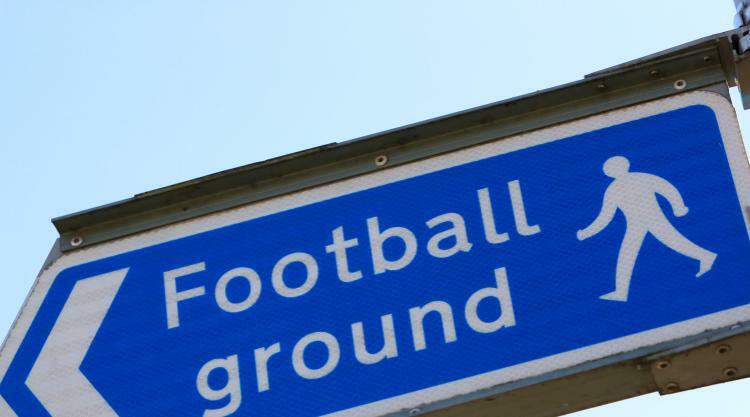 The English Football League, which governs competition across 72 clubs, is looking into the allegations. A spokesman said: "The EFL has been made aware of the contents of correspondence published by the Mariners Trust and a media statement released by officials at Stevenage in relation to events that are alleged to have taken place at Saturday's League Two game between Stevenage and Grimsby. "At this current time the EFL's security advisor is looking further into the matters raised and will be seeking the observations of both clubs. We are not in a position to make any further comment until such a time when all the facts have been made available and are fully considered." On Monday, Mariners Trust vice-chairman Paul Savage told the Guardian: "What we can't understand as football supporters is why Stevenage have told their stewards to do this. "It's not a policing issue, it's a football club issue - they've told their stewards to check people's bras and we can only assume they've been given some intelligence to do that. You don't have it at airports, so why would you have it at a football club? "Football fans get a bad press. There was no trouble, there were no arrests, nobody was chucked out of the ground. There was just a lot of bewildered and bemused and upset people."